If you grew up in the ’50s, ’60s or ’70s, the drive-in movie experience was a quintessential part of childhood. A favorite hangout for families and young people alike, no one really cared that they couldn’t always hear the dialogue or that the picture wasn’t perfect. The drive-in was more about the experience of being outside and hanging out. Although drive-ins have become a rarity across the nation, many towns have recreated the experience through outdoor movie nights. Instead of sitting in a car, you sit on a blanket. Instead of popcorn and candy, you have food trucks offering a variety of snacks. Instead of a hazy screen and AM radio-like sound system, there’s large HD wide screens and high quality sound speakers that promise a better viewing experience. Sound fun? 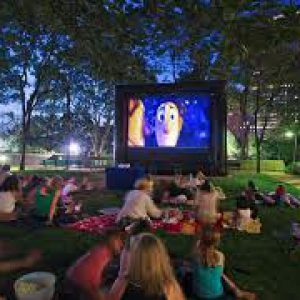 Then park the car, grab a blanket and come out and enjoy the outdoor summer movies being held this summer in Summit, West Orange, Mendham and South Orange. 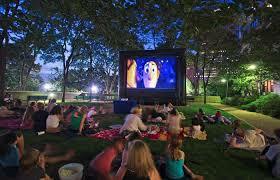 There’s no better way to spend a summer evening than enjoying a family friendly flick under the stars.